As a nurse and the mother of a son with Down syndrome, I cannot reinforce enough how important your role is to new parents of children who have just been given the diagnosis of Down syndrome. Your interaction is critical in preparing these new parents to take their child home. Make the site one of the favorites on all of the computers on your floor just in case the NADS paperwork is not available. A child with special needs can come any day and any time, the baby doesn’t know whether you are prepared or not. 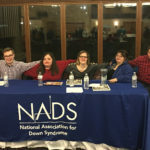 Although I was not involved with NADS prenatally, their early support after my son’s birth was critical and helped me realize that with accurate information about Down syndrome, I was able to not only understand Down syndrome, but was able to tend to his immediate needs and help him thrive from the beginning. Utilize the information on this website to help the new parents gain the tools they need for their child. 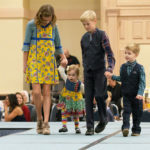 With the support of NADS Parent Support Volunteer Program, and the ability to connect with other families and individuals who share the diagnosis and have “been there,” the new parents will soon realize that although they are shocked, concerned and even grieving, that they are not alone. Individuals with Down syndrome lead wonderfully productive and fulfilling lives for themselves within their community and are loved by friends and family members. Nurses are on the front line. Nurses are the ones that make the patients feel better by educating them with real, up to date and accurate information. As one nurse to another…I urge you to refer your new families to NADS and become familiar with the NADS Website and the recommendations we have available. We added these pages for you, the Nurse, because we know how important you are to our new babies and their families.